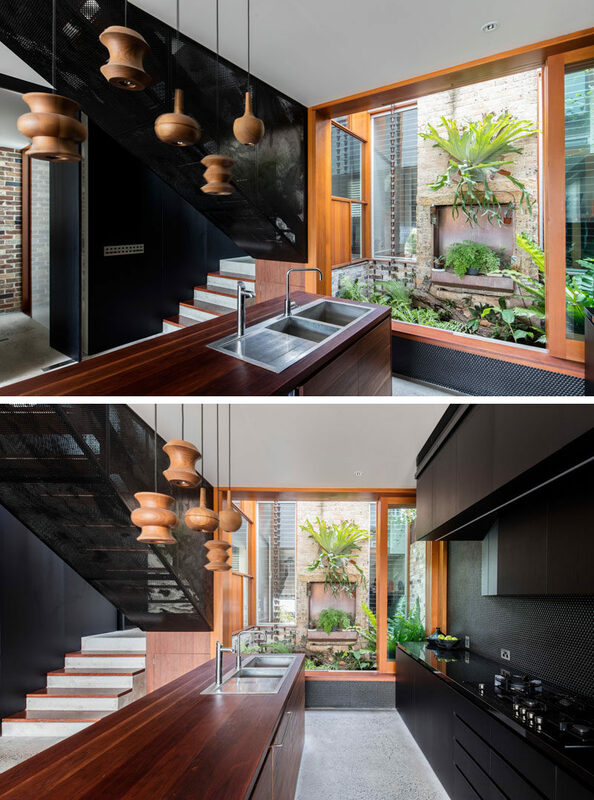 Australian architecture firm Carter Williamson, has designed the transformation of a cottage in Sydney, Australia; turning it into a contemporary house. In the photo below, you can see where the new extension connects to the old cottage, and a small courtyard filled with plants. 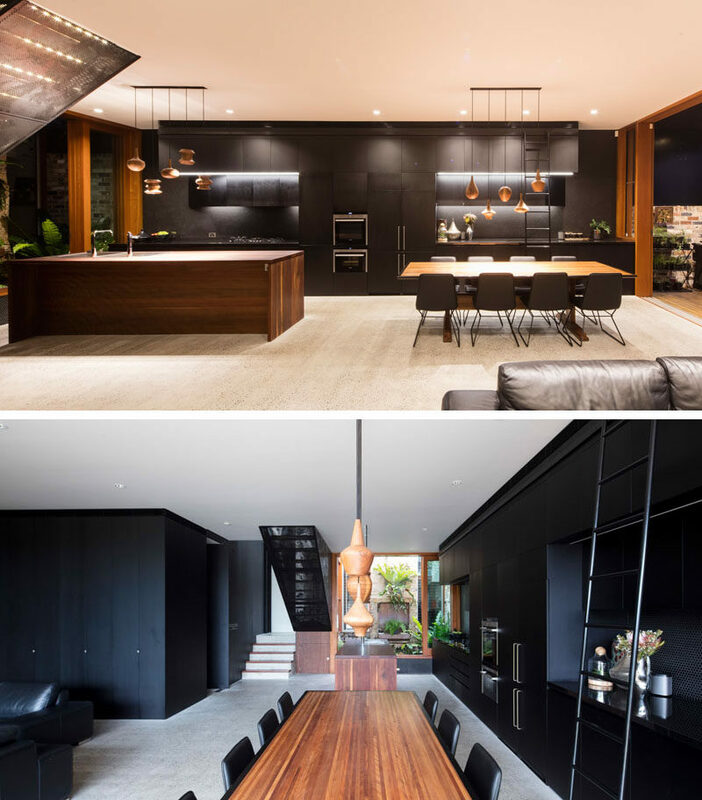 In the new extension, black cabinetry runs the length of the wall, from the kitchen through to the dining area. The wood kitchen island ties in with the wood dining table and the wood window / door frames. In the dining area, a ladder has been added to the cabinetry to provide easy access to the upper cabinets. 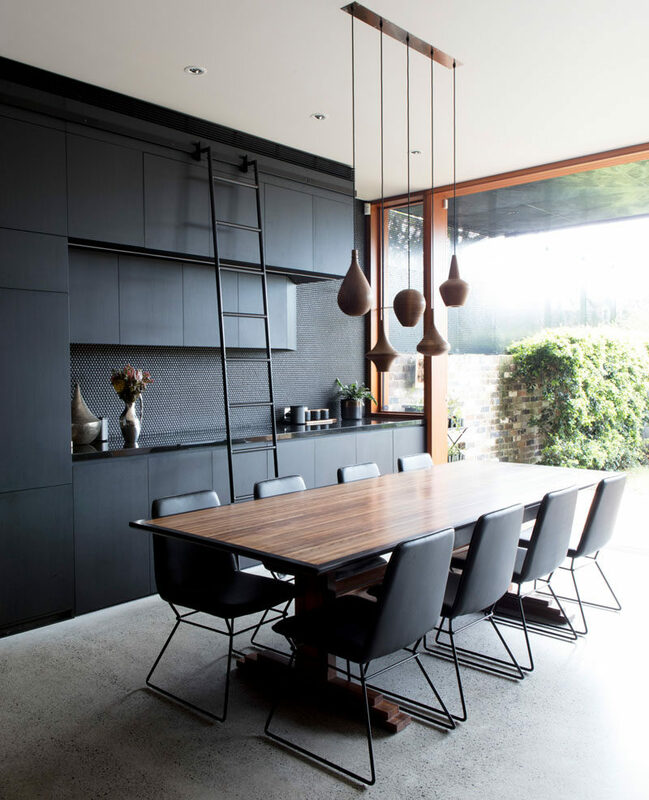 A collection of simple and elegant turned wood pendant lights help to anchor the dining table in the open plan interior. Behind the dining area is the living room. Both areas open up to the backyard with the use of large full height sliding glass doors, that also provide ample natural light when closed. 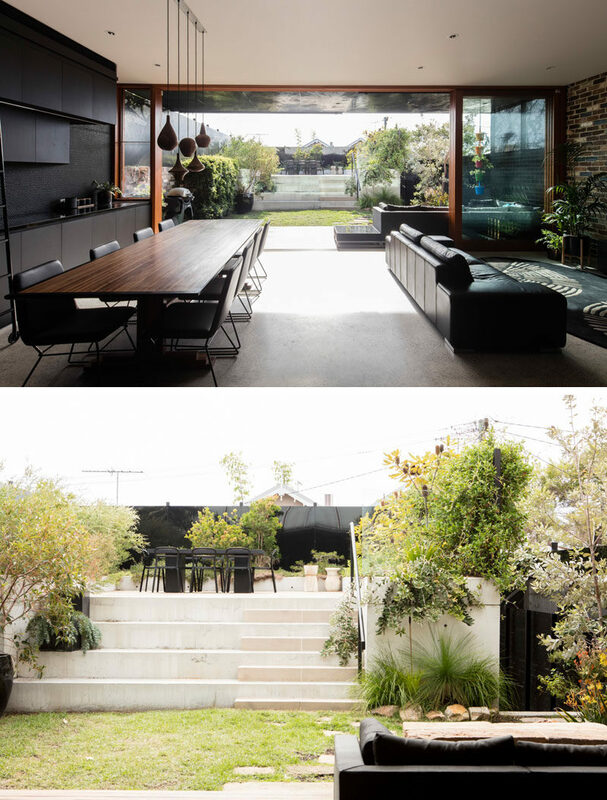 The backyard has a raised area for outdoor dining. 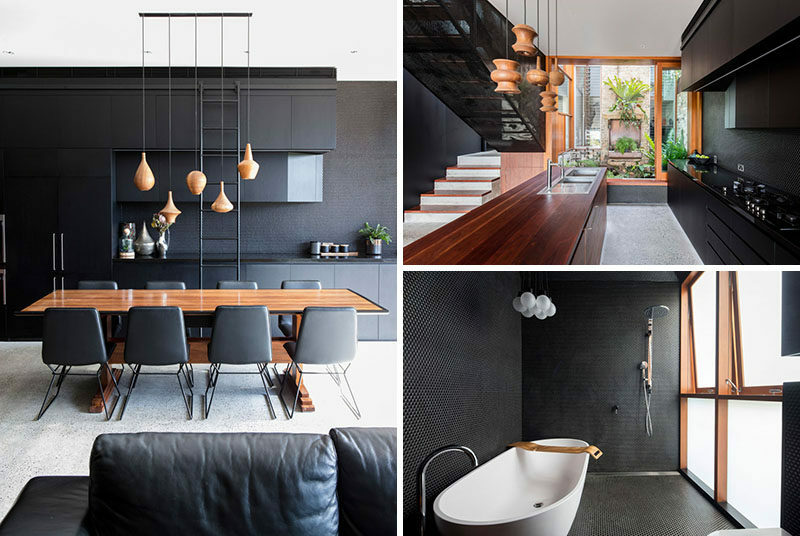 The black theme continues through to a bathroom that’s located opposite the courtyard by the kitchen and by the stairs. 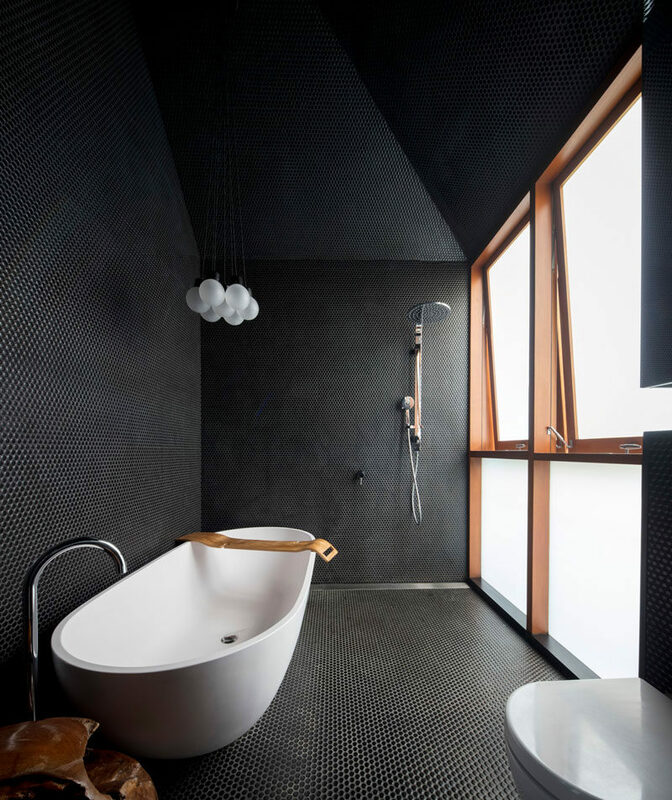 Small black penny tiles cover the surfaces, and a frosted windows provides natural light. 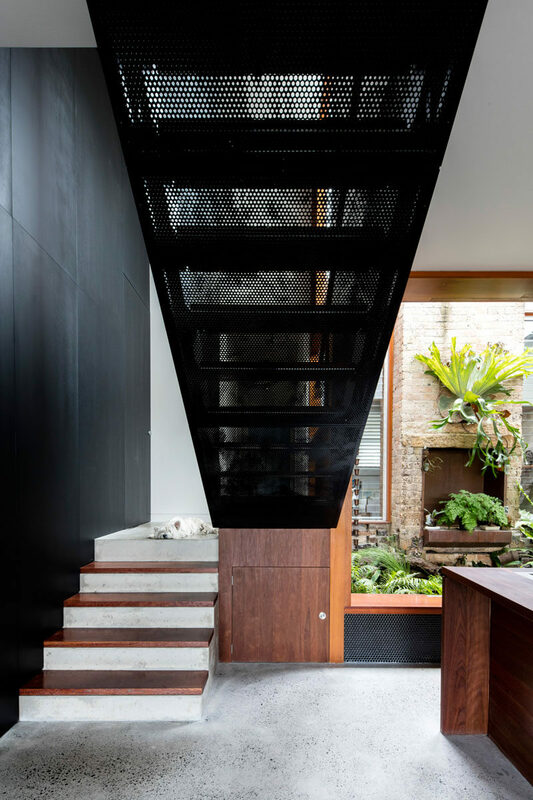 The stairs by kitchen lead to the upper floor of the home that houses bedrooms and bathrooms. 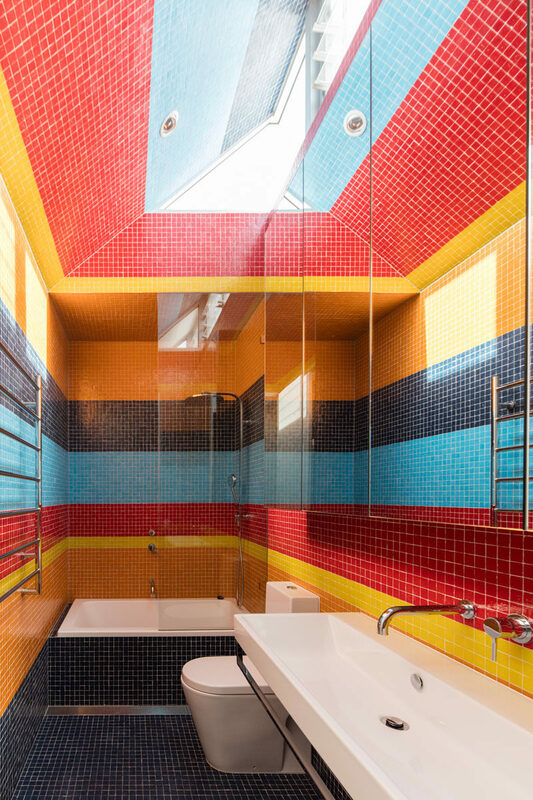 In one of the bathrooms upstairs, the black theme has been replaced with brightly colored tiles in bold stripes, that cover the floor, walls and ceiling.